Check out these wow-worthy mountain wedding venues, including vineyards, ski resorts, lodges, and more, and prepare to swoon! What could be dreamier than getting married at one of the country’s amazing mountain wedding venues, surrounded by all of nature’s glory? 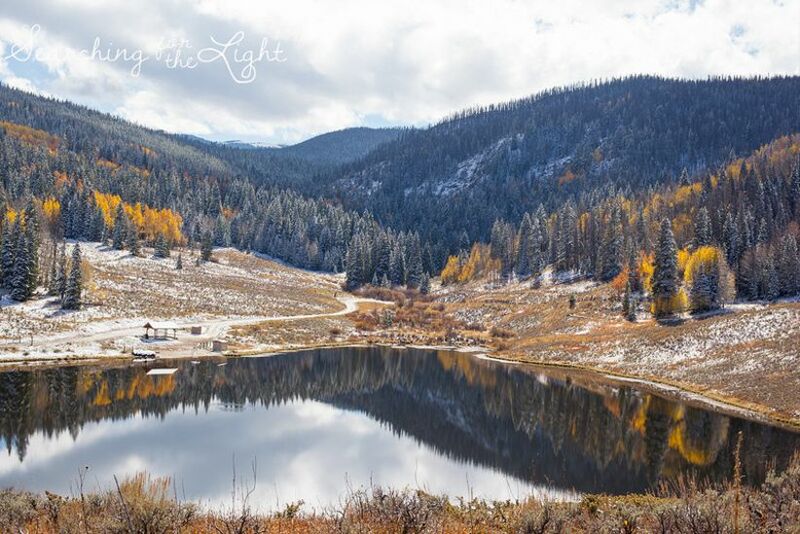 While these locales are beautiful at any time of year, mountain wedding venues have a cozy feel that’s particularly appropriate during the colder-weather months. They also make a unique alternative to the standard beach destination wedding. 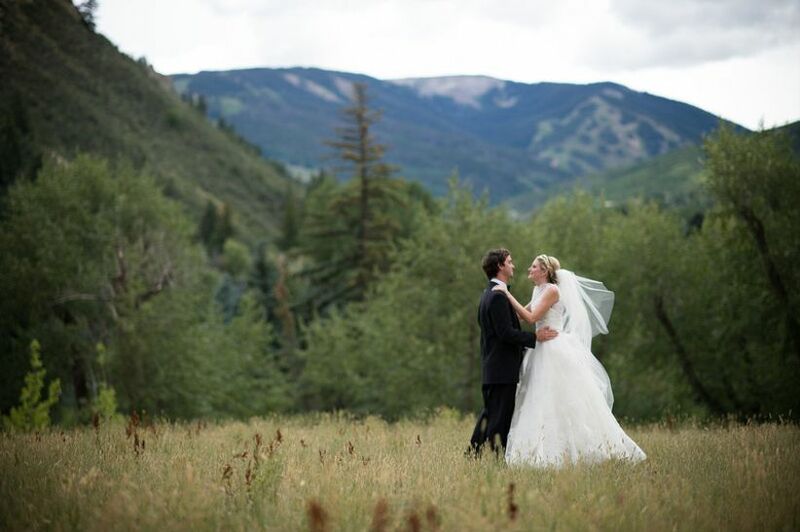 Check out our 20 favorite mountain wedding venues in the U.S.! This Virginia vineyard offers panoramic views of the Blue Ridge foothills. 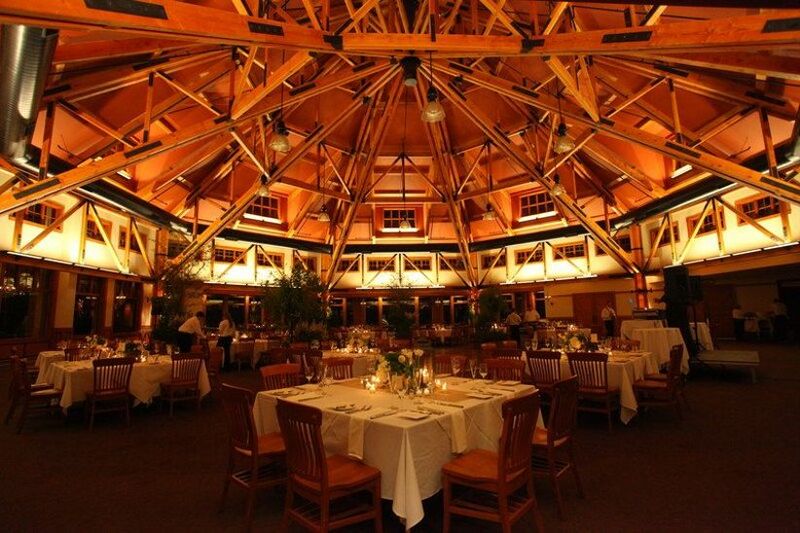 We particularly love the cozy and intimate Event Hall with its grand fireplace. There’s also a Guest Cottage on premises where you can stay the weekend with family members and friends. Outdoorsy couples will be immediately attracted to this ski resort, which has a rustic, natural feel. There are many different ceremony and reception spaces to choose from, from gardens to ballrooms. Particularly unique is the Cliff House Restaurant—it’s located at 3,625 feet and accessible via a gondola ride! The ultimate in desert chic, this mountain wedding venue offers stunning views of the Santa Catalina, Tucson and Santa Rita Mountain ranges. 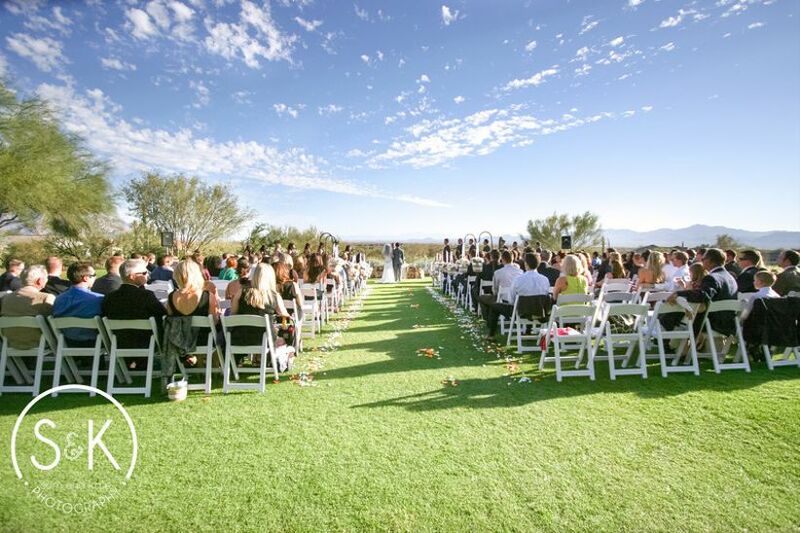 Ceremonies are held on the outdoor lawn, and the spacious Dove Mountain Ballroom is ideal for receptions. 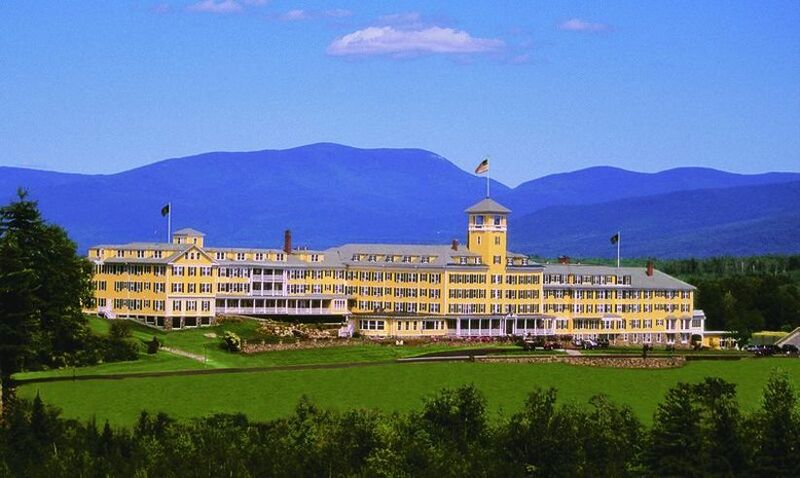 Located amid New Hampshire’s famed White Mountains, this resort offers five different options for ceremonies—including the Overlook Lawn with panoramic mountain views—and four reception settings, including the grand Crystal Ballroom and the cozy Presidential Ballroom. This stunning resort is situated at the base of Beaver Creek Mountain (hello, incredible portrait backdrops!). 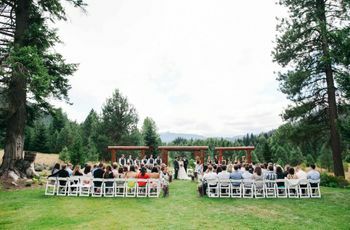 Ceremonies are typically held outdoors on the lawn, while receptions take place in the Riverside Ballroom, with views of the mountain and the Eagle River. Even though this cliffside resort is called a “house,” it’s really more like a castle! 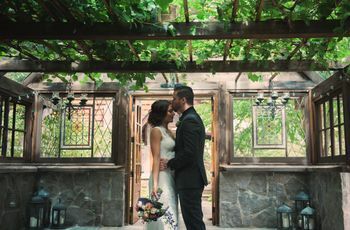 Located on the banks of Lake Mohonk, this dramatic mountain wedding venue offers several ceremony site options, including gardens and a Victorian Parlor with lake views. The West Dining Room offers gorgeous views of the mountains. 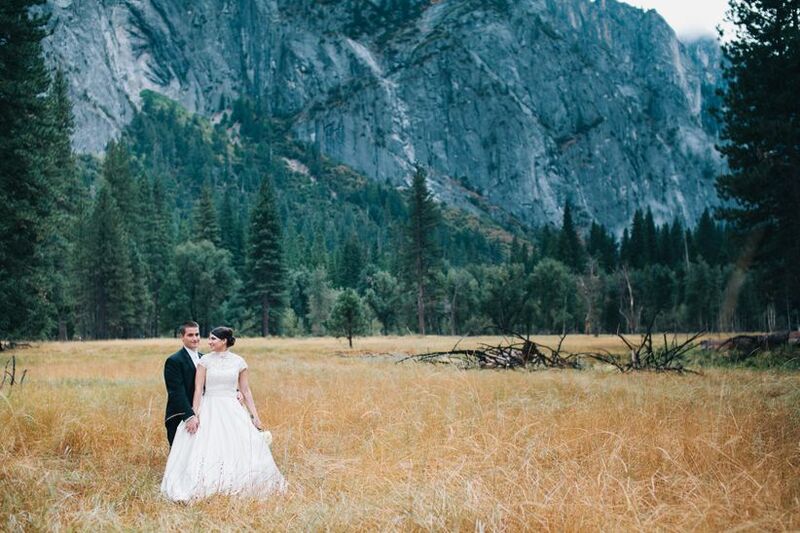 Perhaps the most famous national park in the country and certainly one of our favorite mountain wedding venues, Yosemite also makes an ideal wedding location for nature lovers. There are four different ceremony and reception settings at the park, including Yosemite Lodge at the Falls, with its views of Yosemite Falls from the ceremony site, and the elegant Victorian-style Wawona Hotel. 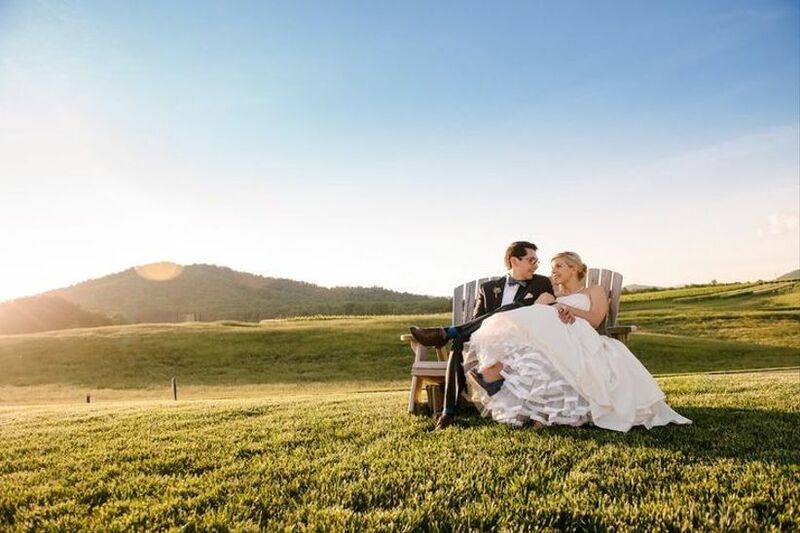 Couples who love both mountains and horses will find a dreamy venue in Leatherwood Mountains. 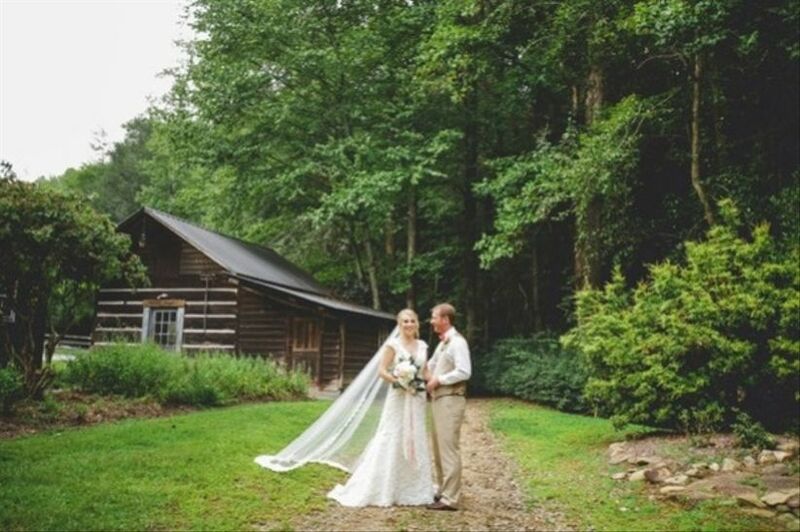 This site, in the Blue Ridge Mountains, offers a unique ceremony venue in the Cabin Stage—located at the base of the two-story chimney of an original 1844 home. The Covered Pavilion provides a rustic, open-air option for receptions. 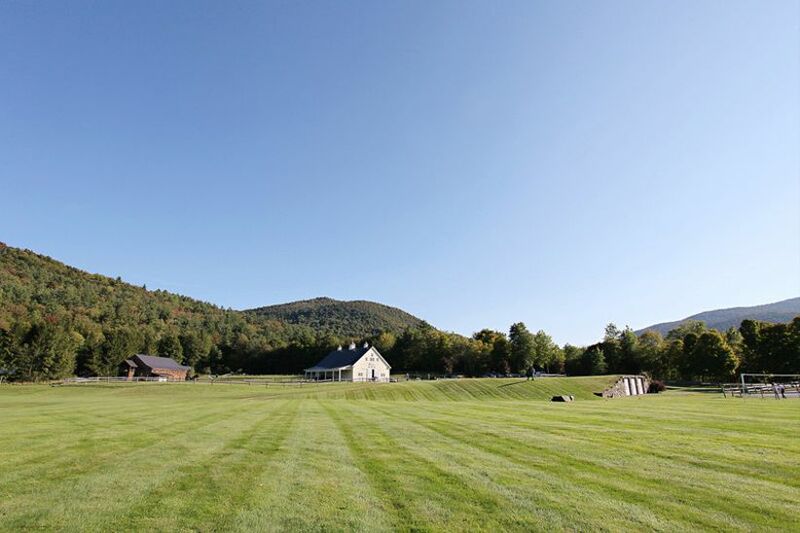 Located in the heart of Vermont’s Green Mountains, this breathtaking venue is set on 350 acres. There are several sites for ceremonies—including The Knoll, a meadow with panoramic mountain views. There’s even a beach, if you prefer! There’s also a barn for receptions, or if you’d prefer, a tented space as well! 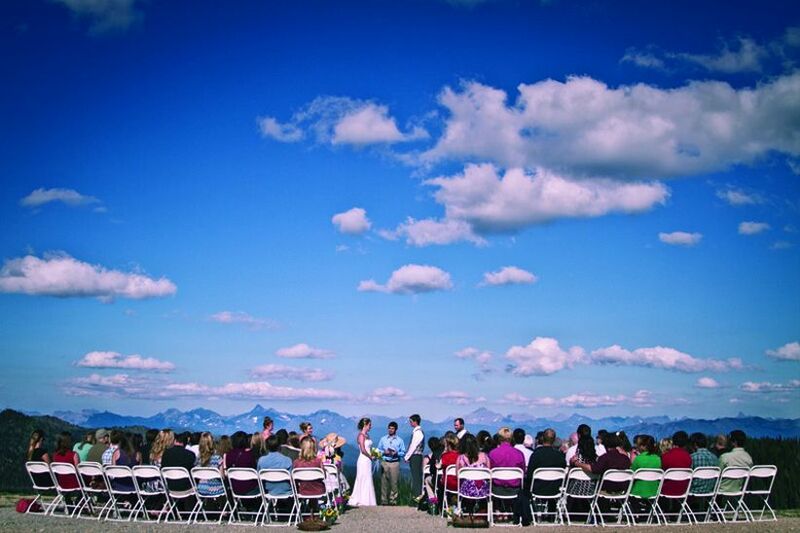 What could be a more scenic ceremony backdrop than Glacier National Park? 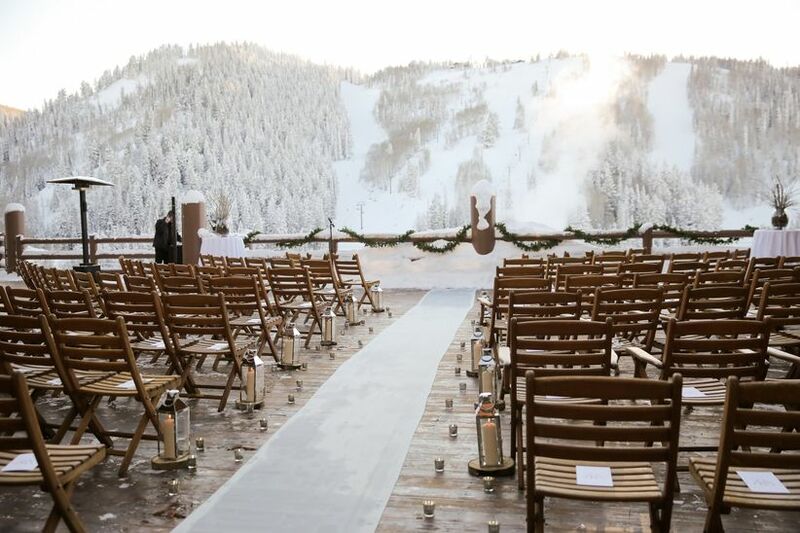 You and your guests will take a chairlift or gondola to the ceremony site, at the mountain summit. Receptions are held at the rustic Base Lodge, which has an outdoor patio complete with fire pit. 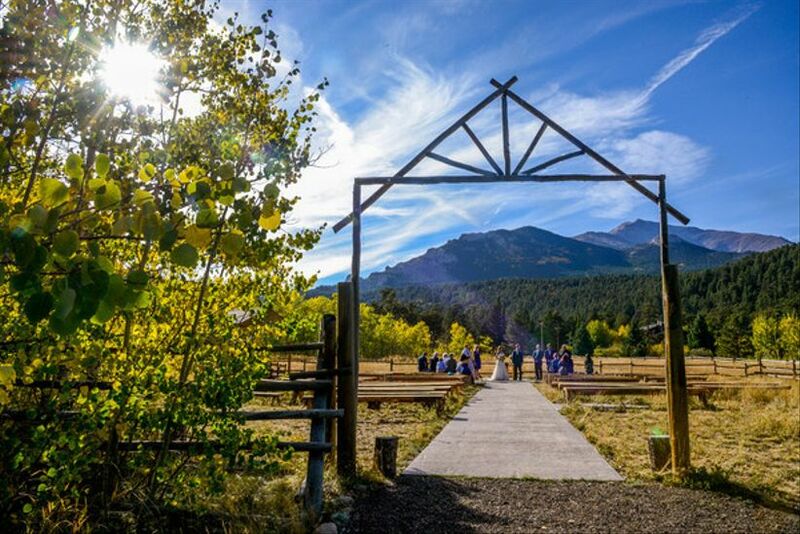 At this YMCA-owned mountain wedding venue, you’ll love the scenic Columbine Point ceremony site, with its Aspen groves and views of the Continental Divide. Receptions are held in the Legett Program Hall. Destination wedding guests can stay on premises—either in the lodge, a cabin, or even camping out! 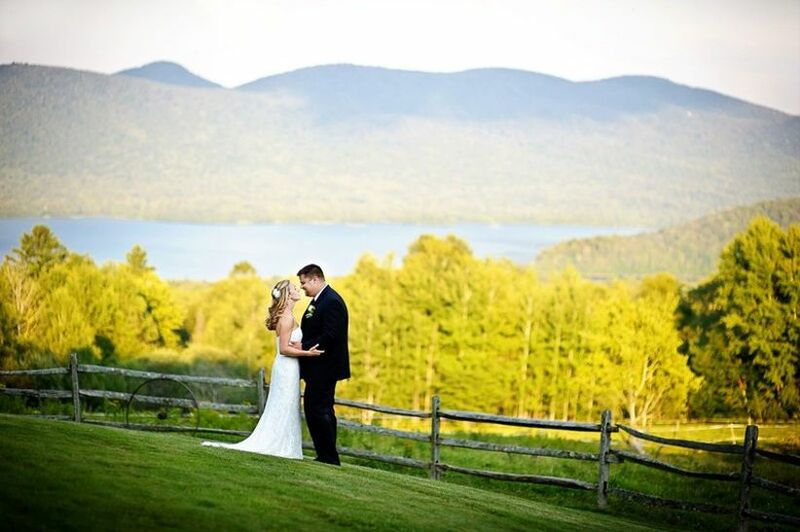 Lake Superior, Lutsen Mountains, and the Northwoods surround this relaxed wedding venue. 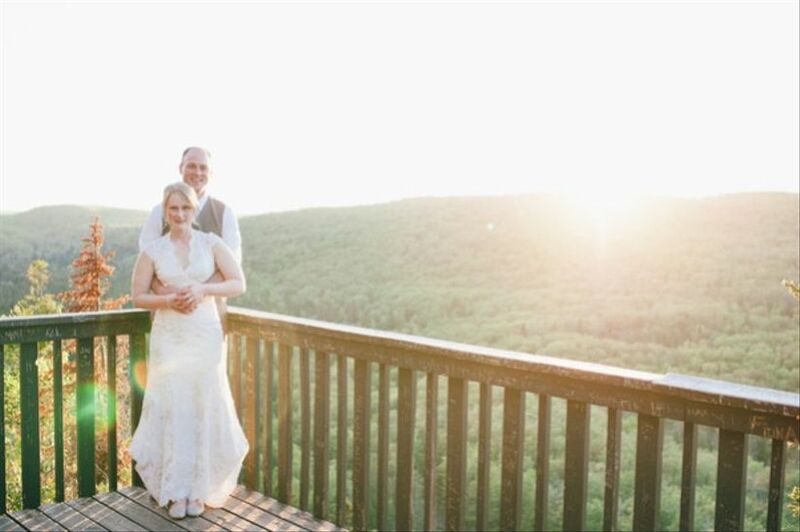 Your guests will love riding up to the summit in a Mountain Tram, and the ceremony deck overlooking Lake Superior. Receptions are held indoors, and Papa Charlie’s restaurant makes a perfect after-party spot! A mountain wedding venue where it’s possible to host your ceremony on the beach? Yes, it’s totally possible at this Lake Tahoe venue. 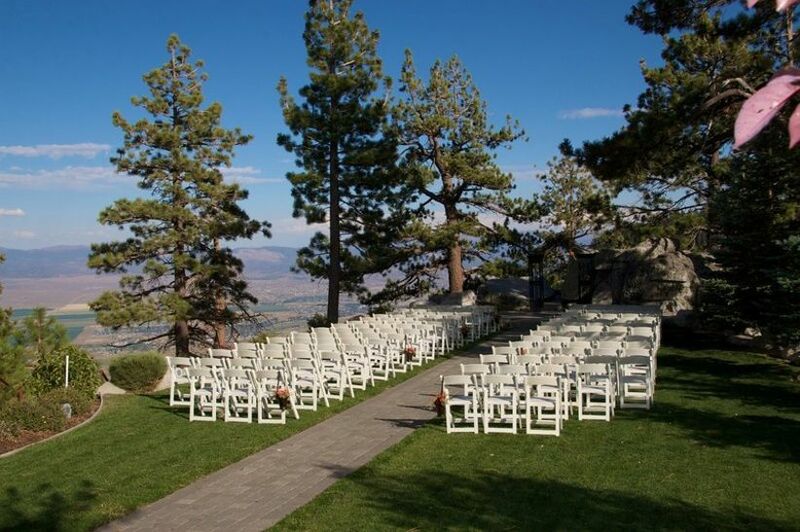 If you’d prefer a garden or a deck at 7,500 feet elevation for your nuptials, they have those too! 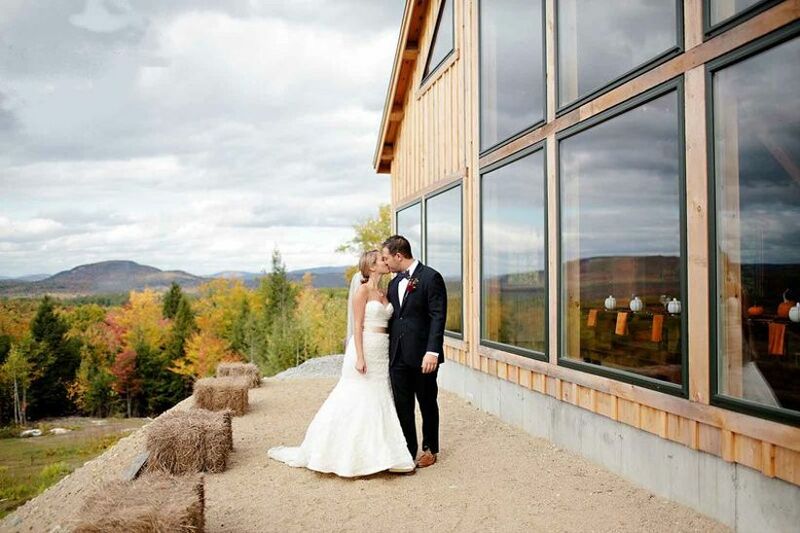 This venue offers the best of both worlds—a barn venue amid the mountains! The huge windows offer panoramic views of the scenic mountains. Ceremonies can be held outdoors in the wooded ceremony site or inside the barn. For a true destination wedding, you and your nearest and dearest can stay on site in the estate, which sleeps 18. 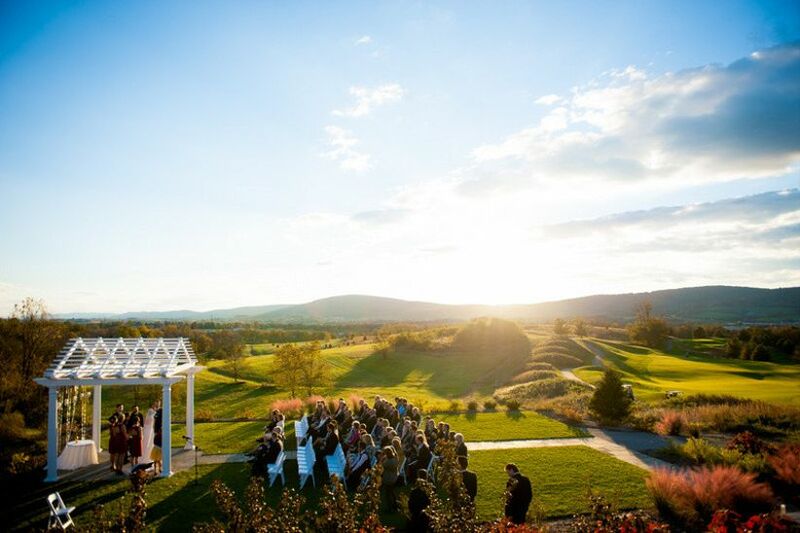 This picturesque mountain wedding venue can host ceremonies in a classic white pergola with views of the Catoctin Mountains, or on the covered terrace. Receptions are held in the lovely ballroom. Couples who want an eco-friendly wedding will take comfort in knowing that this venue is the first Zero Food Waste facility in the U.S.
Just outside Rocky Mountain National Park, this lodge sits on 14 acres featuring aspen groves and willows. 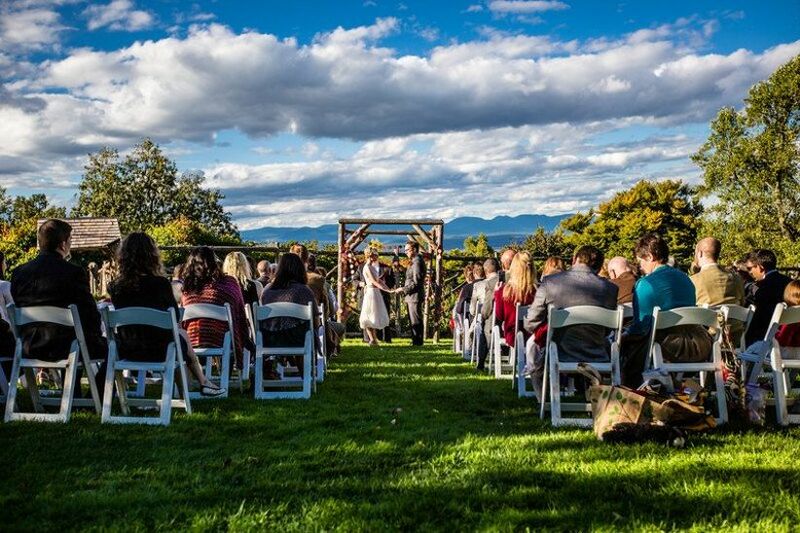 The meadow ceremony site offers majestic mountain views, while the river ceremony site is right on the water. Receptions are held in the rustic, wood-paneled Copeland Reception Room. If you’re a foodie who is dreaming of a rustic barn wedding, this is the ultimate mountain wedding venue. 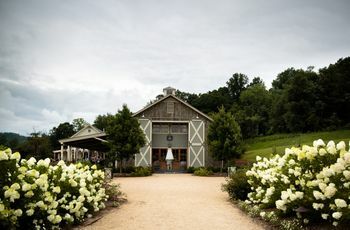 From the farm-to-table cuisine to the several barns on the property to choose from for your events, this is a truly unique setting. We also love that there are separate (and adorable!) cottages for brides and grooms to prep in. 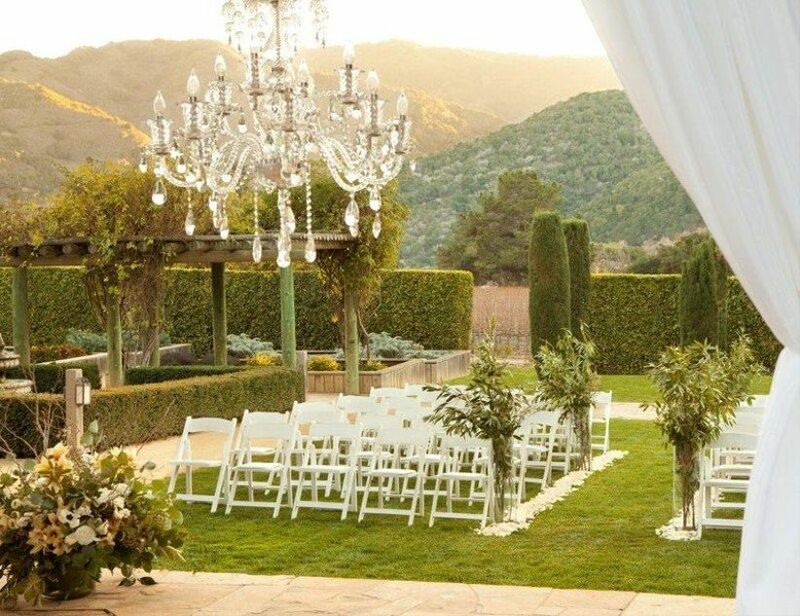 The ultra-romantic Wedding Garden offers views of the Carmel Valley amid grand oak trees—plus 100 varieties of roses! 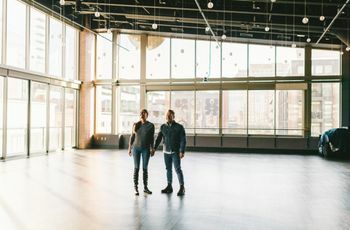 The Meritage Ballroom has stunning views, and is connected to a landscaped garden, as well. 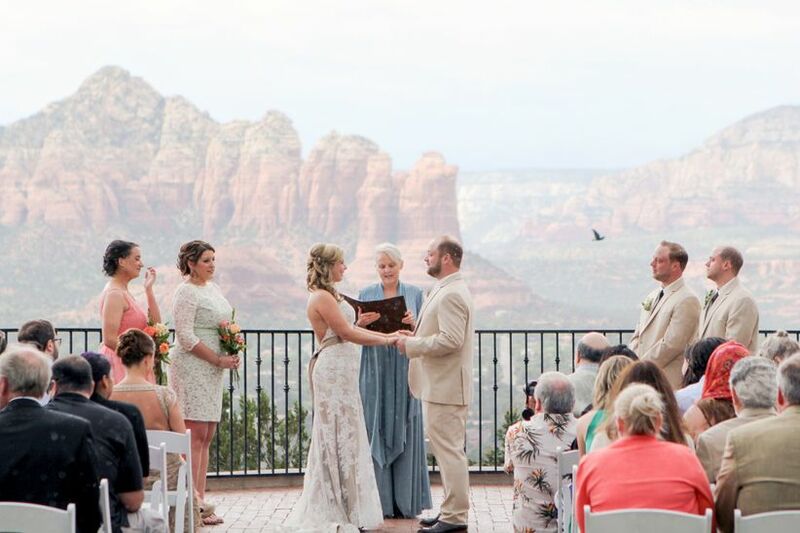 This mountain wedding venue truly celebrates what makes the Arizona landscape unique. The Lookout terrace offers jaw-dropping views of Sedona’s famous Red Rocks. This luxurious ballroom features a panoramic view of Deer Valley, and can host events of up to 500 guests. It’s also a fabulous destination wedding venue where your guests to stay, full of outdoor activities and amenities.